...okay okay I know it's really Saturday! 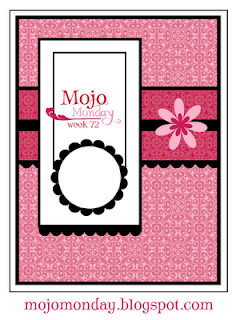 I used Mojo Monday's Sketch #72 as inspiration for these two cards! Hey C! 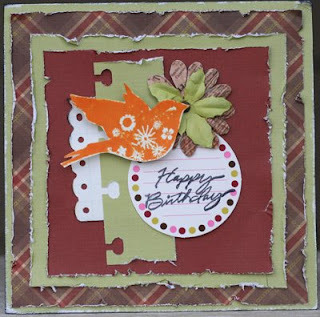 Really like the way you used your punch in the 2nd card. I also love the distressing in both, it really stands out. 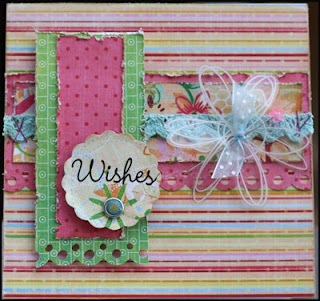 what pretty cards - i love the bright orange splash of color on the second one! A little bit of tootin' goin' on!